Anate Extended represents a milestone in the development of this technique, which was first published in Anate . Since the original release, this has become an incredibly popular tool, much more so than we ever imagined it would. 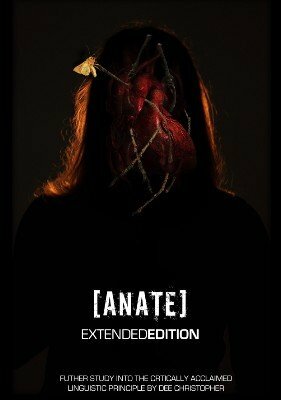 Anate Extended is a supplement to the original ebook which contains lots more outs, applications, strengthening techniques, practice techniques, and routines from Titanas, Lloyd Barnes, Chris Lafferty, Steven Dylan Palmer and of course Dee himself! A magician's routine for the ANATE force comprising a thought of card appearance and a prediction all wrapped up in an ACR! A thought of card appears under the spectator's watch! A great practice routine for ANATE - You can work with 100% hit rate or go ultra clean using just the ANATE force! A spectator's handprint burns onto your flesh, in the middle is a thought of number. Similar in effect to an inverted Stigmata routine, but different, while just as organic in methodology. The PDF is jam packed with crazy material to take your ANATE use to the next level, detailing never before noted techniques, scripting additions, ways to cancel the thought of the experiment ever happening if you miss and even a brand new linguistic force that you can use in place of ANATE or along side to strengthen the original force. Please note, Anate Extended does not contain any mention of the secret technique. So you will need to own the original manuscript. 1st edition 2009; 14 pages.